Eternal avoided making Magic's mistake of taxonomically dividing sorceries and instants: They're all spells, but some are fast and some aren't. Then they dropped the ball. There are 16 units with ambush. Ambush is a skill that lets you play a card out of turn. It's nearly identical to fast spells, except cards with ambush can only be played after your opponent declares attacks or ends their turn (where fast cards can be played in response to most spells or effects [I say 'most' because after 6 months I'm still not sure where the line is]). If I were remaking Magic and had already won the victory of consolidating sorceries and instants into spells and fast spells, I would most certainly try to continue that streak with fast units. It's a good bet Dire Wolf tried that too, so let's consider what would have forced them to use ambush instead. Speeding play is clearly the main benefit, but is it enough? The only other reason I can think has to do with the back-end rules difference between a skill and a card type. Kosul Elite can grant the fast type to a card, but Crown of Possibilities cannot. 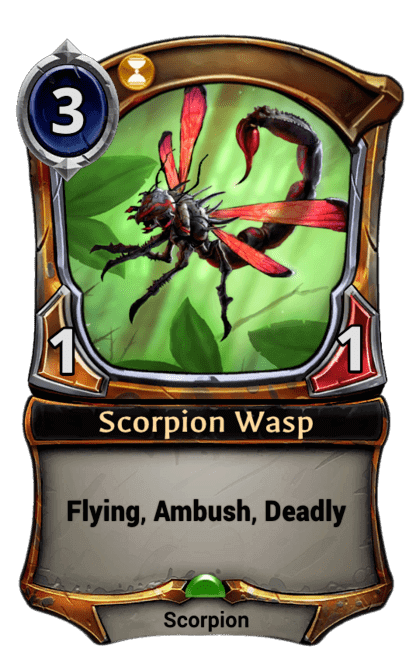 Rhinarc Huntpack, Agile Deathjaw, and Tumbling Sloth all have ambush conditionally—how would they read with a conditional card type? Actually, they'd read great, but we must grant it's a bit awkward to print a card's type somewhere other than its type line. I feel like Dire Wolf prioritized speed of play / click reduction over design elegance / cognitive load more than I would have, but without having playtested fast units within the UX, I can't say with authority I wouldn't have made the same choice. I will say they could have eliminated the main difference by simply having fast apply to units differently, still limiting when you can play a fast unit to when you could play an ambush unit. It's not like they don't have other facets that work differently depending on context. "Actually, they'd read great, but we must grant it's a bit awkward to print a card's type somewhere other than its type line." 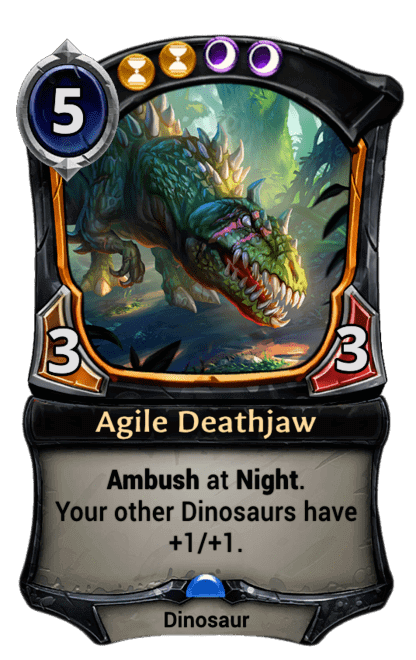 It's a digital game, there's no reason Agile Deathjaw couldn't have something like "Fast at Night" and then when it *is* night, have the typeline change to "Fast Dinosaur", maybe with Flash being a different color to indicate the conditionality. They could alter the type line. Nice get. "I feel like Dire Wolf prioritized speed of play / click reduction over..."
I say almost all good things about Eternal, it is, in my opinion, crushing Magic and especially seeing how bad playing Arena feels compared to playing Eternal, I think the choice to prioritize this over basically everything is the secret sauce that makes Eternal great, and I think it must have been VERY hard work. I would have thought if you started with Magic and made this your priority you'd end up back at Hearthstone (which definitely feels very snappy). The lines Eternal chose are really weird. You can counter spells but you can't counter units. You can Desert Marshall an attacker but not a blocker (your favorite one I know). I think it would be impossible in paper to teach someone what you can and can't respond to in Eternal (I've played the game 1000 hours and I still get an unpleasant surprise now and again) but it works. 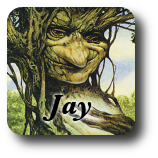 PS: THanks Jay for all these write-ups, and as well your twitter threads about Eternal design choices! 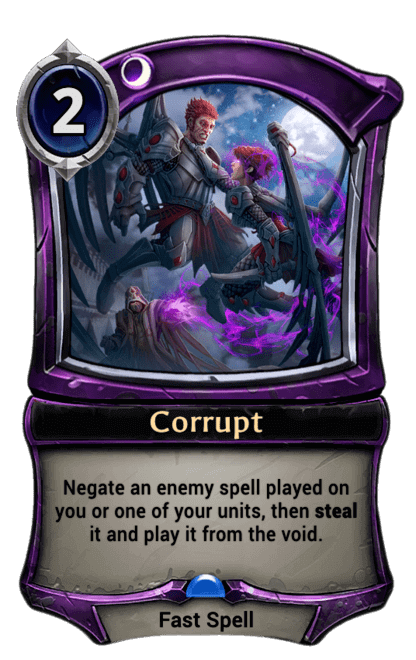 I've only played Eternal for a dozen or so hours, but I think the thing that I will never grok is the huge swath of things that are considered "drawing"
I think this lets them do a bunch of clever stuff, but it was very disorienting for me for a while, even though it always says the word "draw" if it counts as a draw. Dark Return definitely counts as drawing a card. That should still work. I think any time a card enters your hand from anywhere but play, it counts as a draw. The change I'm referring to is from before you started playing, I think, and concerns how the Echo and Crown interact. It used to be that if you drew a Clockroach wit ha Crown in play one roach got one keyword and the second one got that keyword and another keyword.